Detective Dee Woodard transferred to Corpus Christi nine years ago to put distance between herself and her ex...an ex she was still in love with. 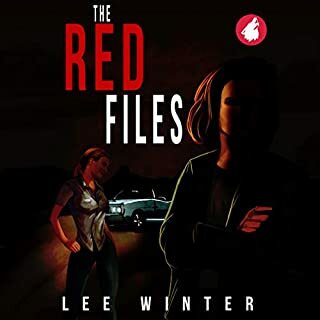 A murder investigation leads her to Moonlight Avenue and Finley Knight. 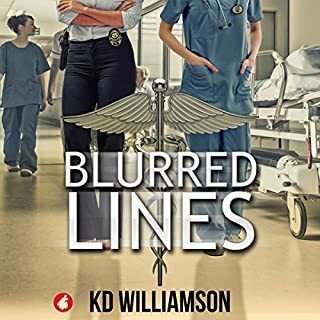 Rylee Moore left the windy plains of Amarillo in her rearview mirror, hoping to start over in this city by the bay, only to find employment hard to come by. Finley Knight wasn’t hiring either, but Rylee’s begging and pleading - and not taking “no” for an answer - finally lands her a job. Not as an apprentice, as she wanted, but as the lone employee at Moonlight Avenue Investigations - receptionist. After a gruesome third murder, Dee is booted from the case. She joins Finn’s team...the chase bringing them closer and closer to a vicious drug dealer. Amongst the chaos, crime, and cover-up...love pokes its head above the water. But can they stay alive long enough to explore it? 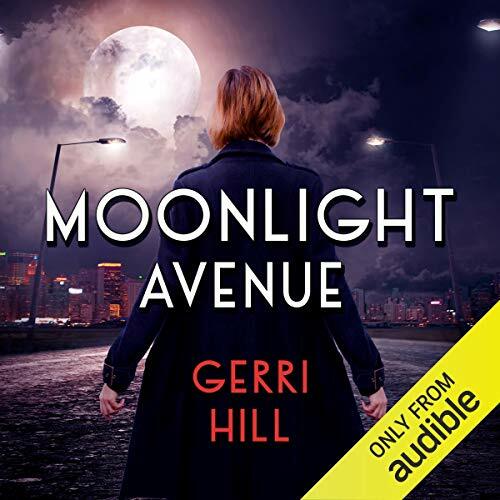 ©2019 Gerri Hill (P)2019 Audible, Inc. I loved this book. Cassandra York did a great job of narrating. I wish more of Gerri Hill’s works were available in audio. I do love her stories. Character development is great. 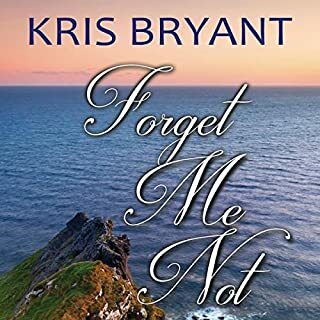 I enjoyed the love story interwoven into the mystery or the mystery interwoven into the love story... It’s nice having a story with main characters over the age of 35. Definitely recommend!!! 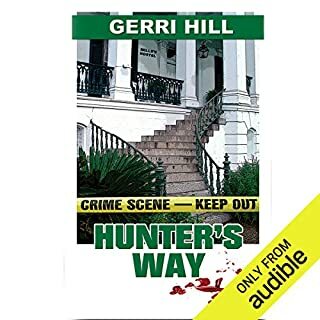 Let me start by saying "Hunter's Way" and "the Secret Pond" are my favorite Gerri Hill audiobooks. Those books were amazing and I listened to them twice. This new book, "Moonlight Avenue" was very good, but not as good as the previously mentioned audiobooks in my opinion. I enjoyed the mystery going on in this book, but something was just missing. I liked all the main characters and the narration was very great... maybe it's how the main characters met? I prefer a slow build up. Anyway, this is still a good mystery book with lesbians and guns. If you've already read "Hunter's Way" and "the Secret Pond", why not try this newer Gerri Hill book. I'm not usually a big fan of the author's mystery stories but this one was a little above some of the previous books. I really liked the Rylee character and I would be interested in a book featuring her as the central protagonist. Disappointed although love the author. I have listened to all her stories. Will wait next. What?? I don’t get to know what the key goes to!! Arghhhj!! I hope there is a sequel!! What a story!! Deep, insightful and genius!! And there has got to be more!!!! One of the best stories ever!! Please tell me — what does the key go to?? Keep up the great story telling!! Another one from Ms Hill!! I didn't really enjoy the end but the story to get there was pretty fun. I enjoyed the twists and turns. Loved it!! Hope to see this emerge as a full blown series. 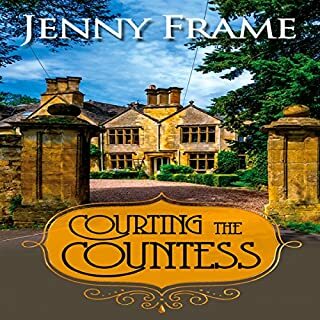 This is old school Gerri Hill with perfect pacing, involved plot, and totally character driven. Narration was perfect too. I couldn't seem to get into this story and I usually love Gerri Hills books. It might be due to the narrator whom I think was horrible. I couldnt really grasp onto the story and was bored early on and only finished it because I started it. I will be returning this title quickly. This was a fantastic romance wrapped in a mystery. I loved Moonlight Avenue. Very exciting. Great combination of mystery and romance. Cassandra York does an excellent job with the narration.